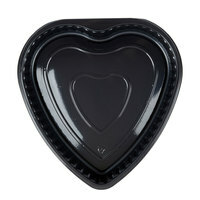 Our selection of disposable Valentine’s Day party supplies includes products made of a variety of different materials. These include plastic, paper, polystyrene, and even bamboo for more eco-friendly businesses. You can also choose from colors like pink, red, beige, white, and brown to match your event or party's theme. Also make sure to check out other great items from Choice, Creative Converting, Durable Packaging, Eco-gecko, Fineline, Genpak and Hoffmaster. 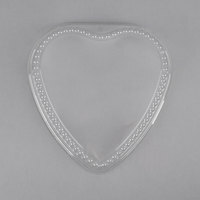 If you’re looking to make Valentine’s Day special for your customers, then check out our disposable Valentine’s Day party supplies. Our selection includes a variety of colors and product types, and some of these items are even customizable. From plates to cake boxes and everything in between, these disposable party supplies are sure to make your patrons’ Valentine’s Day one to remember. 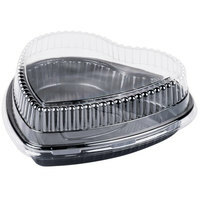 For related products, check out our disposable coasters, picks and skewers, and aluminum foil pans. If you're wondering where to buy genpak disposable valentine's day party supplies, we have a large selection of genpak disposable valentine's day party supplies for sale at the lowest prices.